This year overall champions is from Singapore Sports School with 118 points. 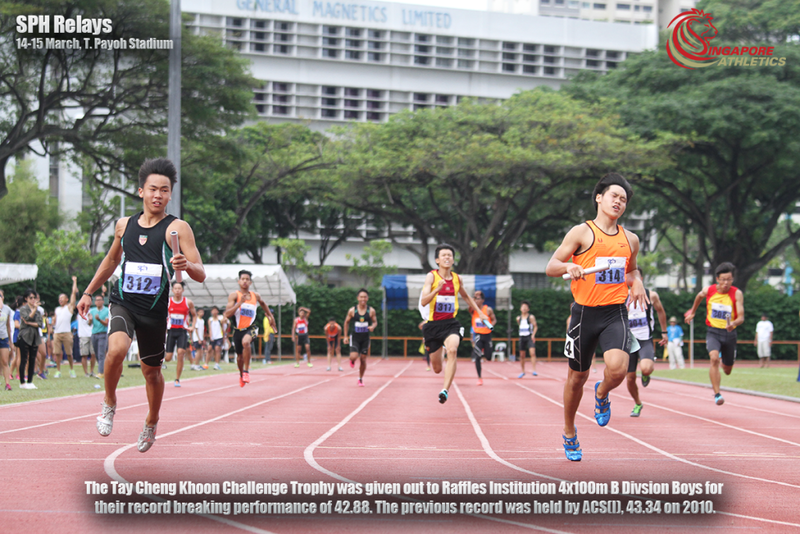 Finally the Tay Cheng Khoon Challenge Trophy was given out to Raffles Institution 4x100m B Divsion Boys for their record breaking performance of 42.88. The previous record was held by ACS(I), 43.34 on 2010. Results are accurate as of 15 March.